How Much Treasury Debt Does Japan Own? 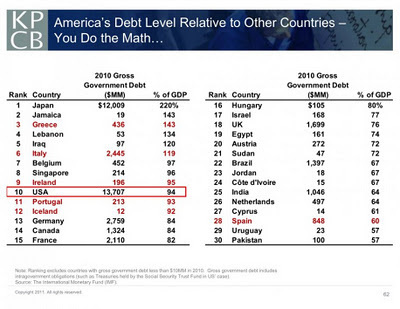 Why is no one inf the financial press talking about Japan being the 2nd largest holder of Treasury debt as a problem? Is this the stock Black Swan the market did not see coming? 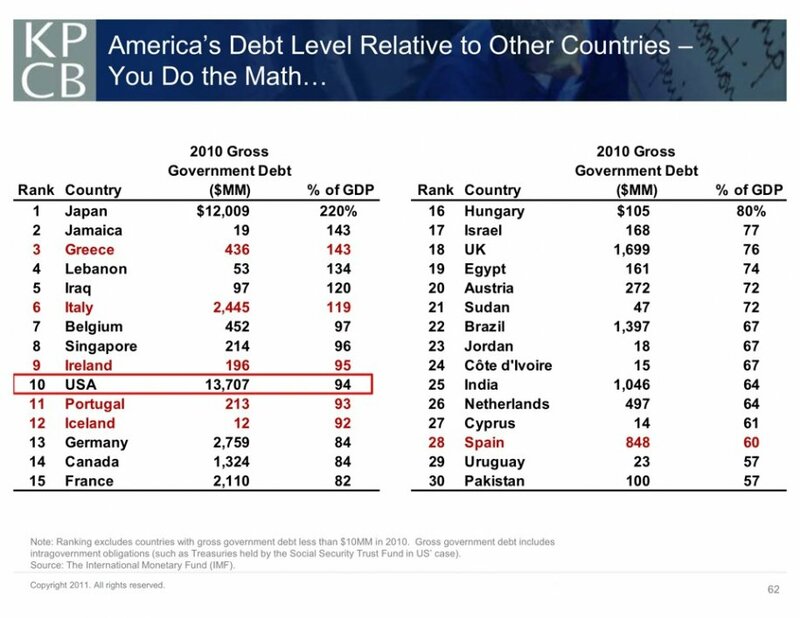 Will the US Government be able to issue enough treasury debt at current yields and continue the ponzi scheme it has been running for the last few years. The next few treasury auctions are going to be very interesting to see if the US government can fill the demand and at what price. If one of the largest investors Japan needs to pull back its contribution of over $885 billion? Isn't a red flag that one of the largest treasury bond holders funds Pimco has sold their entire portfolio? Will we see US treasury bond yields spike to 7-12% like Greece and Ireland? They are currently between .05 and 4.5% depending on the duration. I happen to be one of the few people that believe the market has been artificially propped up by the Fed buying bonds in the open market. This cash gets invested back in the markets in order to prop up equity prices. I am all for capitalism and organic growth but the current run up in bond and equity prices have not been commensurate with the level of growth and unemployment. Why am I worried about this as an early stage investor? Well, because I don't believe that our growth has been created organically by capital formation and venture capital. Our industry is still shrinking drastically. The day that the VC industry starts to expand in the US I will be the first person to claim we are in a real bull market for an extended period of time. However, for the time being I am bearish until the government can get out of way with regards to financial regulation and the government restructures their balance sheets to fit the private sector drop in wealth. Comscore Competition - "We Don't Have Any"
ComScore is a company that uses panels to measure and track consumer behaviors, demographics, and advertising responsiveness for industries such as travel, pharmaceuticals, finance, and telecommunications. Consumer products companies use ComScore's website and online advertising network measurement tools and ComScore's Marketing Solutions products, which provide custom research and analysis from its panel. Scam or is this accurate information? 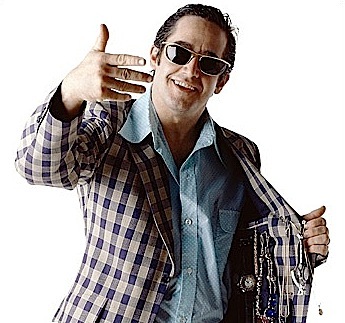 Today, on the earnings conference call Comscore management said "we have no competition". This answer was prompted after an analyst ask the following question: "how are your viewing the market competition?" 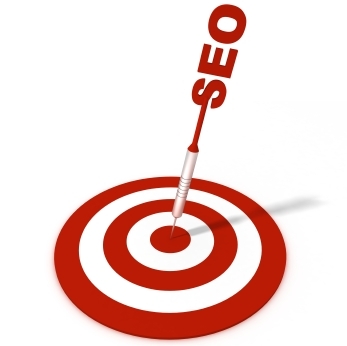 Excuse me, but what about these web site analytics companies who more accurately measure? Alexa, Nielsen, Google Analytics, Omniture, Hitwise, Quantcast that provide more accurate information? What about this list of mobile analytics companies? 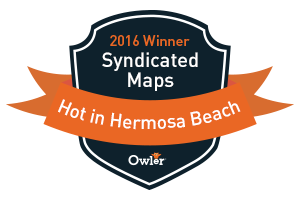 Airsage, Amethon, Bango Flurry, GroundTruth, Localytics, Mobilytics, Motally, M-Wise, Openwave, Percent Mobile, Pinchmedia, TigTags, Xtract. How could you not consider these companies as competitors? If there are any other companies I am missing please let me know. There are several mobile phone analytics and social media analytics companies and many of them are more accurate. Management also gave a very "wishy washing" answer to how they measure and manage social media and mobile analytics. How can you trust a public company that says we have no competition? How can you trust the data that so many large companies use but have limited reach to measure its traffic? Taking surveys and panels is not an ethical way to measure and track traffic. In fact its one of the largest digital media scams in the last decade. Someone needs to crack this egg and expose this. 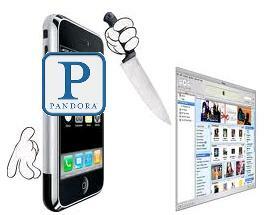 Will Pandora's $100M IPO & Users Kill iTunes? How Much Is Pandora Cannibalizing iTunes Sales? I am happy to hear that Pandora announced a $100M IPO today after being rejected by hundreds of VCs who "pooh poohed" their "advertising based" business model many years ago. Fast forward a few years after Pandora's struggling years and almost shut down. Pandora currently has 80M users and is raising $100M in an IPO. This is not good news for music artists who get paid for music downloads and are quickly seeing this business dry up according to inside sources. What will an artist like Lady Gaga do? Up her licensing fees or partner with Pandora on a revenue share for advertising fees? I come from the school that "if its free its me and if I have to pay no way". I am not a great customer of Apple iTunes because I could care less about owning the music. I just want to listen to it when I want. Since I have been a listener to Pandora guess how much music I have purchased? $0. Their really is no reason to own music for consumer to want to own music or videos any longer now that advertising based streaming music services like Pandora have arrived. I always thought the best move for Apple would be to buy Pandora to protect their iTunes music sales but it looks like that is not going to happen. I predicted that Howard Stern would go to Pandora but that did not happen and he stayed with Sirius / XM and now you can listen to Howard on the iPhone. I also thought that Apple will buy Pandora but that didn't happen either yet. Here is a comparison of Rhapsody vs Pandora. Sirius is also a Pandora competitor but they need to get an app for the TV quickly. Broadband speeds have doubled and even tripled over the past few years. WiFi is very fast and reliable in most areas and 3G is maturing. So maybe Pandora video is coming also with LTE and 4G wireless distribution? Stay tuned and buy some shares of this disruptive company. The Egypt crises has certainly caused some confusion amongst financial community, media pundits, political conservatives and liberals. No one seems to know which side of the table to be on and who to support in the crisis. Wall Street and emerging markets responded to the protest by dropping a few percent immediately and volatility spiked but for what reason? What interests is the US trying to protect in Egypt and who do we trust? One important lesson from this power struggle crisis seems to be emerging and that is the "lack of transparency" in US foreign policy and support for Egypt. I don't expect a full disclosure Wikileaks style, but when I hear that Hosni Murbarak is sheltering billions and worth multiple billions of dollars it makes me sick. The US Government seems to be giving a billion dollars a year to whom? 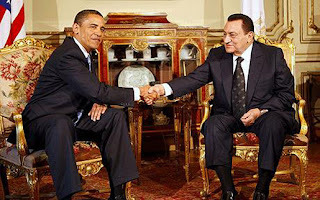 Egypt or Mubarak? How does it get spent if at all and who receives the check? How many other countries around the world do we support like this financially? I would love to see an in-dept study of this because hedge funds who invest around the World will be all over this issue to find the next "smoking gun". If anyone comes up with a InfoGraph to tell the story of US financial diplomacy please send it to me. What Are the Largest Internet Publishing Networks? In an effort to compile a list of the largest internet content publishing networks I would appreciate your help improving this list of 30+ internet publishing companies I have started below. I realize that this list could get exhaustive but in light of Demand Media's IPO it probably makes sense to crowdsource a list of the largest publishing networks and their monthly traffic numbers according to Quantcast top sites. There is likely going to be some consolidation in the space so companies like Demand Media can start building their own ad network to diversify from Google and Yahoo Ad Sense advertising. They will also need to scale their traffic in order for Wall Street to believe in the high growth story. Here is my list of the top generic 10 publishing networks and their respective monthly traffic numbers according to Quantcast. Its not always easy to distinguish the difference between an Ad Networks vs a Publishing Network but for this purposes we would like to build a list of companies who has a team of writers on staff. 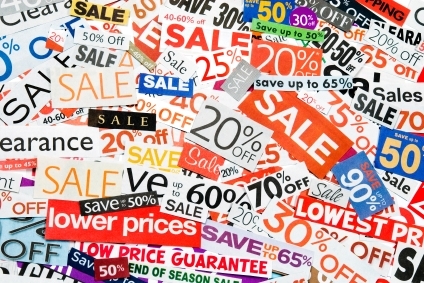 Are Groupon Coupons Getting Spammy? The latest Groupon coupon fad reminds me of the mailing list spam days back in 1999. Back in the day companies like Yahoo couldn't get their hands on enough lists of emails and would use these lists to pump out advertising offers left and right. Eventually consumers got smart and had to use spam blockers and finally the Government required companies to offer opt-in email programs. Groupon is not much different, however, this time they give you a sense of urgency by saying that inventory is limited. Not only do most offers claim to limit the inventory but they often give you 50% off for a limited time. Yes, it seems like a good short term promotional tool but how long will it last and what will it do for customer loyalty? Will Groupon become a victim of their own success always chasing the next deal and lose customer support? I think coupons should be scare commodity and not available to everyone. If everyone has a coupon it defeats the purpose of pricing anything and creates a sense of dishonesty amongst your loyal customer base. I think at the end of the day when this local coupon bubble pops the winners will simply be just good at local display advertising. I think Google gets this as well and will will likely start see display ads targeted on mobile phones that show offers like this. Groupon turned down an offer from Google to buy them for $6 billion dollars apparently and it looks like they are headed for an IPO. I think this is a blessing in disguise for Google and they should be thankful that this did not work out. The competition in the coupon space is furious and there are literary thousands of Groupon clones that do the same thing. When Groupon first received funding and their valuation was north of $100M I said it was a great investor ponzi scheme and still think this. Its a big house of hards that is only held up by the huge pile of cash they have been able to raise. Its also not surprising to see them acquiring several companies in order to try and consolidate their competition. I also wouldn't be surprise to see some more controversy surrounding this company get publicized before it tries to go public. Groupon has lots of "skeletons in the closet" that will come out and at the end of the day the winners will ultimately be small niche local companies like Boomstreet who will be successful. Did Google's Failed Acquisition of Groupon Prompt a CEO Change? Did Eric Schmidt fail to consummate an important acquisition of Groupon that prompted the change? 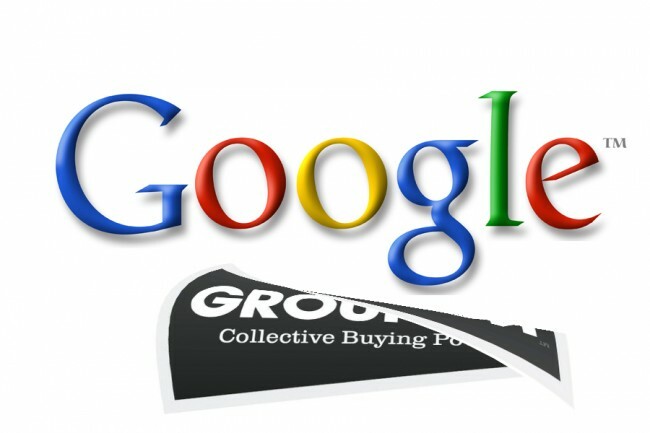 I personally am happy that Google did not buy Groupon because I think the company is very spammy. However, the category is growing quickly and Wallstreet doesn't wait around for excuses of why the advertising giant does not have a product in the category of group buying and coupons for local businesses. Or is more about control and does Larry Page want more control of the company to make more acquisitions? Is Facebook's increased threat of taking market share from the search giant prompting some paranoia. The war is now on between company founders Mark Zuckerberg of Facebook and Larry Page of Google. It will be interesting to see how each will handle the growing mobile advertising industry and Google has a huge head start. Its kind of scary to see Apple and Google CEO have leadership issues as they are the two of the largest technology companies. Who is More Influential on the Economy Steve Jobs or Ben Benanke? 1) History has shown that the economy only grows when there is an ecosystem of technology that creates jobs & Apple has fueled the growth of tech which has created millions of jobs Worldwide. 2) Ben's 0% interest rates have had no effect on whether millions of consumers Worldwide have made emotional Apple purchasing decisions. Two thirds of the US economy is based on consumption and Apple is driving it. 3) Ben Bernanke is an academic that relies on historical data to make reactive decisions when economic history rarely repeats itself. 4) Steve Jobs relies on his vision to shape the future of the technology industry and millions of people are affected based on these decisions. 5) The stock market always needs a leading growth stock story like AAPL in order for investors to get excited and put money to work in the market. The Nasdaq 100 index QQQQ is 20% based on Apple and thus 99 other stocks are directly affected by how AAPL trades. 6) 0% interest rates over the last few years have done nothing but create a bond market and real estate bubble which does nothing for capitalism and growth. 7) Steve Jobs has created wealth for millions of entrepreneurs who have started companies to feed off the Apple ecosystem. 8) Ben Bernanke has put billions of dollars in the hands of bankers and bond fund managers to prop up the stock market and create a false sense. 9) Foreign countries who invest in US Treasury Bills, like China, are not happy that the US is intensionally keeping interest rates low thus devaluing the dollar. The Dollar cannot be devalued forever in order to finance the future and thus a long term bubble is forming if it were to rise suddenly. 10) Apple's stock (AAPL) has the largest market cap in the World at $319 Billion and if it were to lose value quickly it would take down a lot of hedge funds, pension funds who have jumped on the bandwagon of wealth creation and could be destruction if we are not careful. Get well Steve! We need you and Google to keep all entrepreneurs and investors excited about the future. Technology NOT energy should be the basis of the World economy in order to leave a better place for our kids.